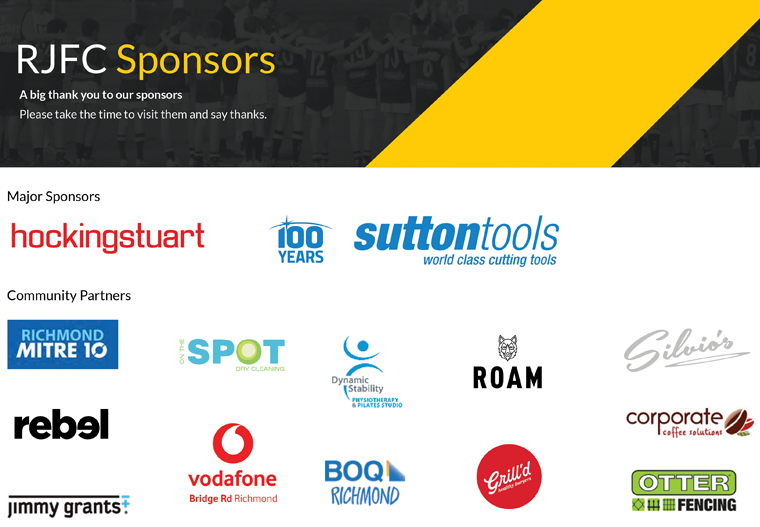 As we approach our final function for the year, Presentation Day this Sunday 16 September, we acknowledge the generous support of our Sponsors throughout season 2018. 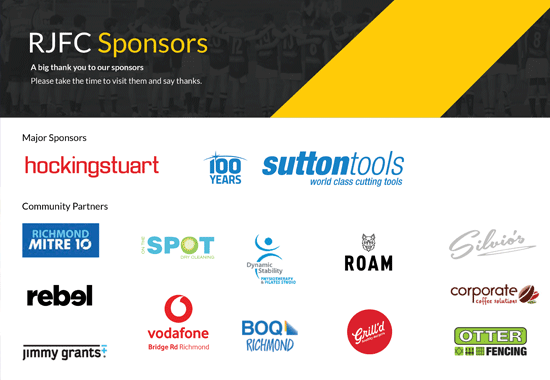 As a volunteer not-for-profit organisation, RJFC relies on the support of local sponsors to keep our registration fees as low as possible and to help provide the best facilities we can for our growing community. Please take the time to visit them and say thanks! Peter & team at Sutton Tools. Gene & his team at Vodafone Bridge Road, which is soon to move to a brand new store at shop 2, 163 Bridge Road.Looking for work?